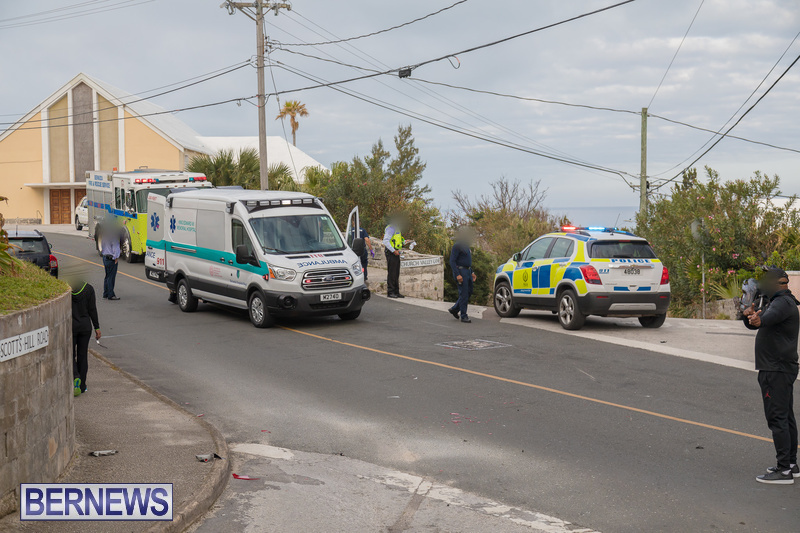 Emergency services responded to a collision this morning [March 31] on Somerset Road near the junction with Scott’s Hill Road that appeared to involve a car and motorcycle. 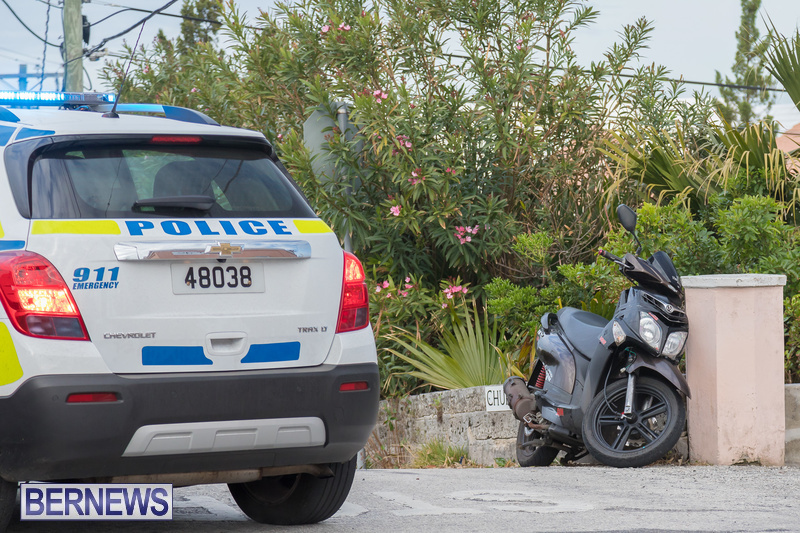 Bermuda Fire and Rescue Service along with ambulance personnel tended to the injured motorcyclist before she was transported to King Edward Memorial Hospital for treatment. Further details are limited at this time, however we will update as able.